The number of Super Eagles players already in camp as at 7am this morning has increased to fourteen following the arrival of eight new players. 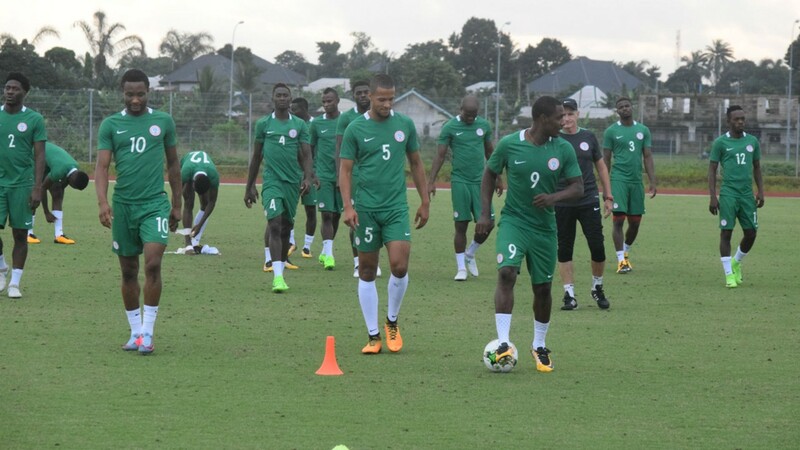 According to information scooped from the Super Eagles verified Twitter handle this Tuesday morning, Francis Uzoho, Elderson Echiejile, Stephen Eze, Joel Obi, Shehu Abdullahi, John Ogu, Moses Simon, and Kenneth Omeruo are the latest players to arrive the team’s Radisson Blu Hotel in Wroclaw. However Chinese based Super eagles Captain John Mikel Obi and Odion Ighalo along side Chelsea’s Victor Moses and team’s Vice Captain Ogenyi Onazi are all expected to arrive camp latest this evening ahead of the team’s first training session at the old Śląsk Wrocław stadium, Oporowska street, same stadium Poland’s national team is using for their workout on Tuesday evening.